How would you rate your experience with Atlantic Broadband ? 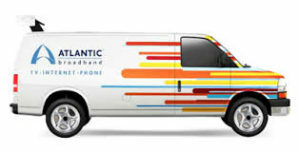 Atlantic Broadband was founded in 2004 as a spinoff of Charter Communications. 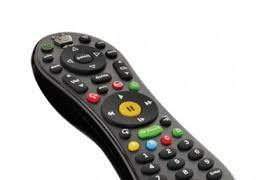 As of 2012, the company operates as a subsidiary of Cogeco Cable, Inc. The company is the 9th largest cable operator in the U.S., providing television, internet, and telephone services in Pennsylvania, Florida, Maryland, West Virginia, Delaware, South Carolina, and New York. Atlantic Broadband serves approximately 250,000 persons and offers both basic and expanded services including pay-per-view television, DVR device, high definition television channels as well as basic or local channels. Atlantic Broadband also offers its customer’s storage data and backup, hosted voice services for business clients, and satellite-delivered channels such as CNN and MTV. In 2012, CEO Richard Shea rang the bell on the NASDAQ in honor of all veterans. The company acquired MetroCast in 2017 for $1.4 billion. Headquarters are located in Quincy, Massachusetts. Question 1: What is the phone number for Atlantic Broadband? Answer 1: The phone number for Atlantic Broadband is (617) 786-8800. Question 2: Who is the CEO of Atlantic Broadband? Answer 2: The CEO of Atlantic Broadband is Richard J. Shea Eng., MBA. Question 3: Who founded Atlantic Broadband? Answer 3: Atlantic Broadband was founded by Spinoff Company in 2004. Just HOW do I get your attention, Mr. Shea? Yesterday my husband and I wasted a good part of our day TRYING to update our credit card info (SO WE COULD CONTINUE TO PAY OUR OUTRAGEOUS BILL) and had to resort to customer service where a lovely woman who was not particularly well trained decided the answer was to pre pay a month and then the new info would be accepted on the web site (WHICH IS AWFUL)…If you must know, I updated 7 other corporate payments in less than ten minutes…..what does it take to get someone at your end to make important changes so we can all be proud to be you customer? Right now, where I live, I have no other choice for the “bundle”…..to say I am frustrated and disgusted is an understatement….I welcome your response, Mr. Shea! I truly can’t wait for xfinity to come to my area. I signed up for a 2 yearpromo not even 1 year inmy cost has increased by $40. I only have internet no other services. I am on a fixed income because of a disability. I asked for an extention of 6 daysto pay my bill which is $50 past due and they wouldn’t even do it. Yet my internet goes out all the time. Sometimes for days at a time. I hate this company. If you have other choices choose them. Your company is the modern version of highway robbery. Customer service is hideous, internet, phone, and cable disruptions on a nearly daily basis, your rates continue to increase exponentially, you charge $5.00 for paper billing, and your hold times for customer service often means I am able to celebrate Christmas and my August birthday while on hold listening to you peddle more of your crappy services. Well, I have filed a complaint online with the FCC today and contacted the consumer protection division of the Maryland Attorney General’s office this morning. I hope you now enjoy a disruption to your comfy corporate pirate lifestyle. I mean only pay 1/100th of it: ie: 1 penny on the dollar. Very poor company. I paid my bill on May 7, 2018. I switched providers on May 11,2018.
now Atlantis Broadband owes me a refund but they are “unable” to help me. I am getting bills still from them for a service that was cancelled in May. Very poor Company. Do not ever do business with them!!! Atlactic bb is horrible company .More two months with interruptions off my services and nobody cab fixed . I’m writing this email to inform you that your company is horrendous, garbage, and despicable. Atlantic Broadband Internet service is the ABSOLUTE pits. Your customer service is non-responsive and when you do finally get to talk to someone, after hours of being on hold, the agent is RUDE OR DISGRUNTLED. Your service technicians don’t speak English, lie (falsifying doXXXXents that states they were at my house when they clearly weren’t) or can’t seem to diagnose the problem therefore, the problem NEVER gets fixed. You will wait weeks for a service call to actually happen (again never correcting the problem). By far the worst company on the planet. I want to run from this company, run as fast as I can however, I can’t. I truly regret moving to my neighborhood. I have been forced to use Atlantic Broadband as the building I live in does not allow any other provider. I have been using your company for over a year now. This company is bad beyond measure. I pay for 100mbps and rarely get half that. Calling the customer service? Good luck! I have actually waited for hours to get to someone. And when I get to someone, it does not end there; they transfer me from one department to another, until I give up. I check the internet speed regularly after realizing that what I pay for is not what I get. With that being said! There is a Silver lining to this entire debacle. I’d like to compliment TWO OF YOUR EMPLOYEES for the excellent service that they provided to me tonight. Employee one was supervisor Stan and employee two was Roy from the ASG I.T. Department . They both were knowledgeable and helped me to sort out this internet fiasco that I’ve been dealing with for the pass few months. The service I received from these two was second to none. There professionalism and ability to get to the bottom of the situation quickly far exceeded my expectations. Such a commitment to great customer service is to be commended. They went above and beyond their busy schedule to help me out. be sure that You pass on this e-mail to the proper channels. I believe if everyone was like these two at Atlantic broadband, everyone would be coming to your company on the regular; however, that’s not the case. These two gentlemen are a valuable asset to your company. Please pass this note to both of these fine men. For once in a very long time I am pleased and not disappointed with your company. voice said my computer was infected with a virus And malware And I was to call 1-8772218343 and if I did not call to correct the problem as my computer would infect the net work they would shut me down permeantly..When I called I asked if this was Microsoft and the reply was ” we handle Microsoft problems” This was LIE # ! , Asked if there was any charge for their service ,LIE #2 at the end of 1/2 hour I was told the cost was $ 149. This is a scam as I closed there black box and have been using my computer. The name oif the company is support12345.com and Go daddy is involved. I ASK THAT ATLBB BLOCK THIS COMPOANY AND SITE FROM VIEWING BY YOUR USERS. We been a customer with Atlanticbb.net for over 11 years. We understand the need for the services you claim to provide, phone, internet, tv. Now you want to rise the rates $1.50 more or TVs and $2.50 for internet a month more on your plans for everyone to help you get the services you claim to provide. However, the services you CLAIM and CAN”T provide to customers should not be billed the full prices. YOU should make bill adjustments to them until you can fix your problems . Makes me wonder under FFC gudielines how many customers are being billed for services you claim bu,t yet can’t provide at regular prices. Maybe a class action sue is needed. I have been using Atlantic Broadband for almost a year. I HATE it. We have had countless techs here to repair things only to find few days later it’s something new. Had minis changed. Had modem changed NOW it keeps saying no internet connections. I’ve done everything I was instructed m was evenntold by a tech if this happens again do this and do that. Done. Still screwed up. I’m so ready to go Direct or Dish. So freaking tired. Can’t fix problems yet company can keep jacking up bill. I can’t afford their hikes. Up to 300.00 a month. It ISNT WORTH 100.00. I’m reporting my problems to the BBB. We all work hard for our money. Oh btw the way. Techs were just here sat 6/17 and are coming back tomorrow 6/21. Now you can see where the frustration is coming from. Check your records corporate to see all the other dates. The tech I talked to this morning had the balls to say there won’t be a charge for them to come out but if the problem is due to something the customer has done there will be a charge SERIOUSLY???????? BTW. I CANT EVEN WATCH NETFLIX ON THE TV THAT I PAY FOR. WHOS BEING RIPPED OFF. THINK I SHOULD BE REIMBURSED FOR THAT CAUAE OF YOUR CRAPPY SERVICE. I am furious as a business owner!! We have been experience multiple outages for both phone and internet over the past year. We are a busy insurance agency, and cannot believe they can get away with this! We pay our bills on time….THIS IS UNACCEPTABLE and we are reporting to corporate, as well as Better Business Bureau. I am and have been VERY disappointed with the cable situation in Altoona, PA, ever since last October when we were forced to use the digital tuners supplied by Atlantic Broadband in order to receive ANY channels in our area. Back at the time, I had recently purchased a new DVR and had gone out of my way to find one with a tuner, and that soon became useless when I had to begin using the Atlantic Broadband tuner – and now can no longer watch one program while recording another, nor pre-set the DVR without remembering that it has to be on the exact channel at the time of recording. Balderdash! But now this weekend we finally bought a new digital LED TV (our previous model was still from the 1980s), and now I am REALLY upset. I paid money for a fine Samsung tuner that I can’t even use now, not to mention dozens of functions that the TV’s own tuner could perform, like showing a guide with the TV listings, having a picture within a picture, etc. It isn’t even as clear a picture as I imagine it could be, because, again, I’m forced into using this Atlantic Broadband tuner. Our family in this household has been using this same cable operation since it came to Altoona when I was probably about six years old – so for about 50 years, although the company has changed hands several times through those years. But this current non-rebuild “solution” which Atlantic Broadband has devised for providing cable to us with these tuners being forced upon us is no solution at all. After half a century, I will look elsewhere for other options. This has taken all of the joy – and most of the functionality – out of using these brand new products. Can you at least tell me if this is going to be a permanent solution? Or do I have any hope that eventually we won’t need to use your tuners anymore? I thank you for your time and attention. I would wholeheartedly ask that you please forward this email to whomever is in charge of making these decisions, so that they can hear the customer input. Want to make sure Atlantic Broadband sees your comment or complaint?